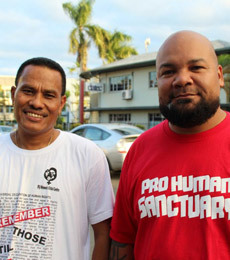 Through Pacific Women, the Australian Government will spend approximately $1.4 million over 10 years (2012–2022) on initiatives supporting women’s empowerment in Palau. 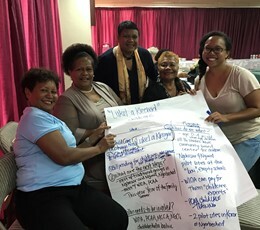 More information on the partnership and nature of support is included in the Pacific Women Palau Country Plan Summary. Details on activities currently underway in-country with various partners is available via our interactive map. The list of program partners can be found here. Palau is also supported by Pacific Women’s regional program, details of which can be viewed on the interactive map under regional activities. In June 2016, Pacific Women supported two participants from Palau to attend the month long Regional Training Programme run by FWCC. After attending the training, the two counsellors have found they approach their work with a different perspective. 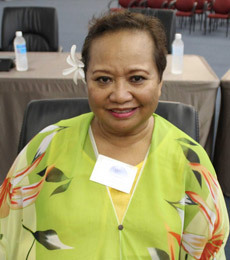 The Hon Senator Sandra Pierantozzi was Palau’s first woman Senator and first woman Vice President. Now she’s running for President in the country’s November 2016 elections.